ECoupons on mobile phones have not taken off yet. 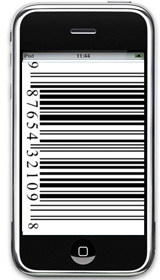 Many people do not realize that it is largely because of the inability of most barcode readers at retailers to reliably read a barcode displayed on a phone. Mobeam is about to change all that. There has been enough hype about mobile shopping in general and mobile coupons in particular that you could easily be forgiven if you thought coupons and loyalty cards on mobile phones were a done deal, already available and in use today. The elephant in the room is that the bright clean crisp barcode image you see displayed on your smartphone’s screen cannot be read by the majority of barcode scanners used in retail today. “But wait a minute,” some of you may say, “I have downloaded and used a barcode for my airline ticket on my phone and used it to check in at the airport. That seemed to work OK . . . at least sometimes.” That is true enough, but the 2D optical imager that reads your barcode at the airport is a completely different technology than the red laser scanners in use in the vast majority of retail stores and other locations today. 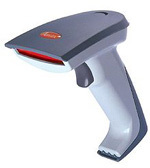 Laser scanners—Emits a laser beam and moves it rapidly back and forth (scans) across the barcode. It senses the changing intensity of the reflection to read the black and white lines of the barcode. Because it is scanning so fast, it looks to our eyes like a relatively solid red line (or pattern). These can be handheld devices or omni-directional scanners that are built into many retail checkout lanes. CCD scanners—has LED (Light emitting diodes) arranged in a row and a sensor measures the ambient light in front of each LED. Camera-based reader—takes an actual picture of the barcode. This can read 1D and 2D barcodes. Pen/Wand reader—The user holds the tip of the pen/wand against the barcode and moves across it at a steady speed. The majority of retail stores use laser scanners—either handheld or omni-directional (embedded in the checkout lane) or both. When laser scanners try to read a barcode image on a phone, they are foiled by the refraction effect1 of the glass, backlit displays, and polarizing filters on the phone. As a result, handheld laser scanners do a very poor job (hit or miss at best) and the ubiquitous omni-directional (embedded) scanners found in most Point of Sale (POS) checkout lanes are even worse at reading barcodes on phones. So in most retail environments, linear barcode mobile coupons on smart phones are virtually useless today . . . they practically never work. This is where some new technology from Mobeam comes in. Their technology uses an LED light source that is already available on the phone. All smartphones have one or more LEDs (Light Emitting Diode) built in. Most have them incorporated into their proximity sensor2 which is used to detect when the phone is being held near your ear. 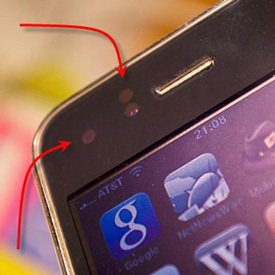 Phones may also have an LED for message waiting and or battery indicators that can be used as well. Mobeam uses that LED to send the same burst of binary data that the scanner would see if it were actually scanning the bar code on paper. Within a couple of seconds, it sends the sequences used by all the known types of scanners, about 100 times for each type. This makes for a very reliable read rate of about 99.7%,3 much better than reading paper barcodes. Mobeam has been making deals with the manufacturers of the LEDs and the chip that controls it, to get Mobeam’s capability built into those devices. This gives Mobeam direct control over the LED device, rather than relying on APIs from the OS or phone handset maker to expose that functionality. Mobeam is now in the process of convincing phone makers to include that new version of the LED in the next revisions of their phones. Since the LED is built into the phone anyway, there is no added cost for the LED/chip maker or the phone manufacturer, so it should not be a hard sell. Several manufacturers have already agreed and Mobeam expects to start seeing phones with this capability available in Q3 of this year (2012). Over the next couple of years, they predict it will be in virtually all new phones. Mobeam’s API will allow transmission not only of 1D barcode, but also 2D barcodes, NFC data, and any other new technologies coming down the pike that are built into the phone. That way, the developer can use one single API to send the data, independent of the type of reader infrastructure or communication mechanism being used by the retailer. Coupon redemption information can be highly valuable to the manufacturers. It can show them the true uptake on promotions. They can see which ads and campaigns are actually working. They can use ‘pay-for-performance’ on ad campaigns, paying only for actual sales rather than just impressions. They can also get much more individualized information, as well as personalize the offers. In traditional printed coupons, typically the same barcode number is used by everyone for a specific campaign and media. Once you move to e-coupons, you can issue a serialized barcode, unique for each customer and channel. This can be combined with other information to provide a tremendous amount of contextual intelligence that was not previously available. It also can be used to provide individualized offers—a major change over the traditional paper coupon. Sometimes promotional campaigns are too successful. The store runs out of the product, making customers unhappy. Or if they are pricing it as a loss leader, the retailer or manufacturer may lose their shirt on a wildly successful promotion. 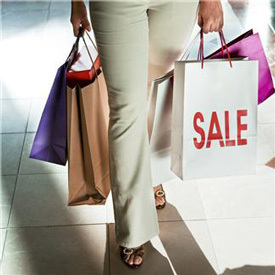 With eCoupons, manufacturers and retailers can set dynamic limits on campaigns. For example, they might state “the first 100,000 redeemers get a 35% discount, the next 100,000 get a 25% discount, and then the promotion is over.” This has the dual effect of limiting the manufacturer’s exposure, while creating some exclusivity and urgency for customers to be the first ones to take advantage of the promotion. The use of eCoupons opens up a new world of possibility for dynamic campaign design and control. In December 2011, Mobeam announced a partnership with P&G aimed at exploring, testing, and promoting the use of Mobeam’s technology to enable eCoupons. Mobeam is talking to wireless telecommunications carriers, who already have very sophisticated billing systems that deal with enormous volumes of tiny individual transactions. The telecoms carriers can play an important potential role in managing the collection and redemption of coupons. And, as mentioned above, Mobeam is in serious discussions with all the major mobile phone handset manufacturers to ensure inclusion of their technology in the next generations of these devices. Besides coupons, the barcode on the phone is a natural fit for loyalty cards, tickets, and gift cards. 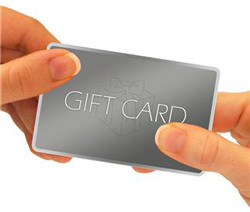 Imagine never having to carry another loyalty card or never losing or forgetting to bring your tickets or gift card. All could be stored in the phone and used. Mobeam intends to enable all of these and more—virtually anything that can benefit from a barcode on a phone. It seems amazing that linear barcodes on phones cannot be read by most POS scanners today. That is the reality and it has prevented coupons, loyalty cards, tickets, and gift cards on the phone from becoming a widespread reality. It seems that limitation is about to be lifted and we should see an explosion of uses and innovations from barcodes on mobile phones. 1 Refraction is what causes a pencil placed halfway into a glass of water to look bent. It is a distortion due to the change in ‘phase velocity’ as the light wave passes from one medium (air) into another (water or glass). -- Return to article text above. 2 Without that proximity sensor, the touchscreen would still be active while you were talking and your ear would end up doing all kinds of unintended touches to the screen – potentially hanging up the call or doing other unintended actions. -- Return to article text above. 3 Read rate performance data from Mobeam -- Return to article text above. 4 Source: NCH Marketing (Login required to view source article) -- Return to article text above.